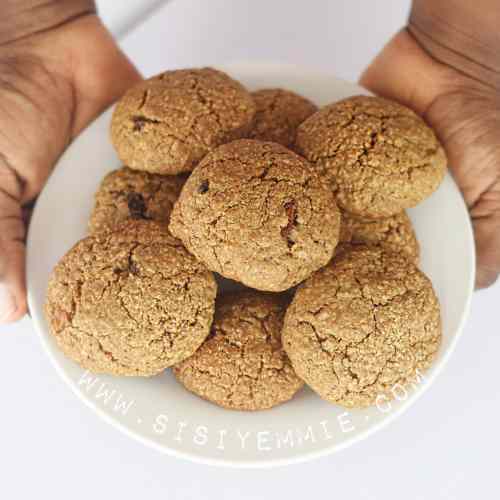 Our recipe of the week is Oatmeal Cookies. These Oatmeal Cookies are filling, yummy and easy to make. If you have a few oatmeal cookies and tea or coffee in the morning, you will ready to face the day. Oatmeal contains lots of fibre and it is exactly perfect if you’re a part of the fit fam squad. 3. Add sugar, baking soda, salt and cinnamon to the butter. Mix and beat until properly combined. 4. Add eggs and vanilla essence and beat some more. 5. Add wheat flour, all purpose flour and oats gradually and mix with a spatula till well combined. 6. Add raisins and coconut shavings and mix some more. 9. Take out of the oven, place on a cooling rack and allow to cool before eating.